The news of the high-profile author's involvement with the James Bond 007 series follows Dynamite's announcement of their partnership with Ian Fleming Publications Ltd. (IFPL), the Fleming family company that owns and administers the literary copyright of Ian Fleming's published works, including his fourteen James Bond books. Under their agreement, Dynamite has been granted worldwide rights to publish comic books, digital comics, and graphic novels starring 007. Launching their James Bond 007 line with a writer of exemplary skill and reputation has been a priority for Dynamite, and Warren Ellis' stewardship will guarantee a debut story with all the hallmarks of high-octane action and international intrigue that exemplify the franchise. "Ian Fleming's James Bond is an icon, and it's a delight to tell visual narratives with the original, brutal, damaged Bond of the books," says Warren Ellis. 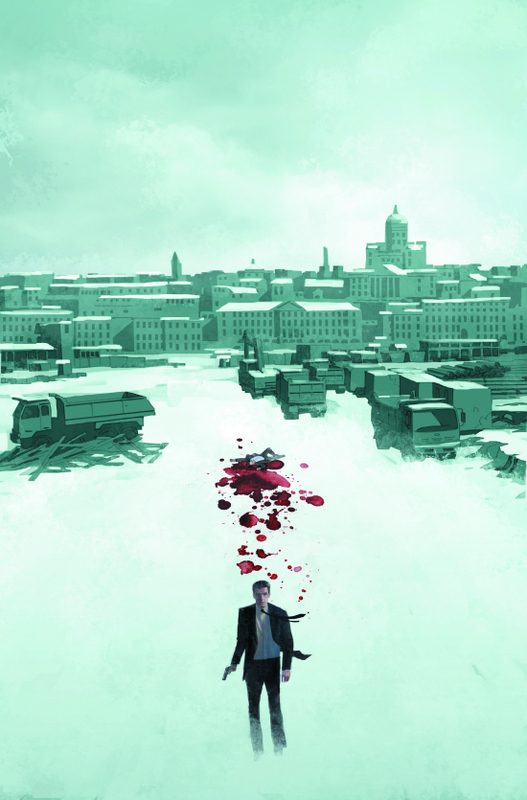 The first six-issue story arc in the James Bond 007 comic book series will be entitled "VARGR." James Bond returns to London after a mission of vengeance in Helsinki, to take up the workload of a fallen 00 Section agent... but something evil is moving through the back streets of the city, and sinister plans are being laid for Bond in Berlin. Great-nephew of Ian Fleming, Diggory Laycock says, "We were thrilled when Warren agreed to write the first story in this exciting new chapter of literary James Bond. Warren's style is gritty, dark, and unique, and we can't wait to see James Bond embroiled in an adventure of his creation." "Warren Ellis is one of the most brilliant writers of the 21st century, not just in comics but across all media," says Nick Barrucci, CEO and Publisher of Dynamite Entertainment. "When we approached him for the launch, we hoped he could make time in his very busy schedule, and we are fortunate and thankful that he was able to. We met with Warren and everyone at IFPL, and Warren's passion for the novels showed. He really is the perfect writer for Bond, and I can't express how excited we are that he is tackling the ongoing series. This will be James Bond unlike anything you've ever seen before, true to Ian Fleming's source material yet bursting all preconceptions of what a Bond story should be." Senior Editor Joseph Rybandt says, "I've long been a fan of Warren, going back to his earliest works (for instance, Lazarus Churchyard when it was first published), and pairing his creative mind with the iconic James Bond will make it the most talked about and exciting comic of 2015." "We have the extraordinary opportunity to create the very best James Bond stories that you've never read, and we have one of the most extraordinary contemporary adventure writers in the world to launch with," says Editor Mike Lake. "After more than 40 years in the business, this is the best project I've ever had a hand in, and am very proud to have helped bring it about." "I've wanted to draw something Warren Ellis wrote since I first read his work on The Authority," says artist Jason Masters. "Each of his carefully composed pages is filled with wonderful ideas that make you wish you were smarter. More ingenious than Warren's writing might be Dynamite's decision to have him write James Bond. James Bond by Warren Ellis! I'd buy that sight unseen if I wasn't lucky enough to be the guy drawing it." James Bond 007 will be solicited through Diamond Comic Distributors' Previews catalog, the premiere source of merchandise for the comic book specialty market. 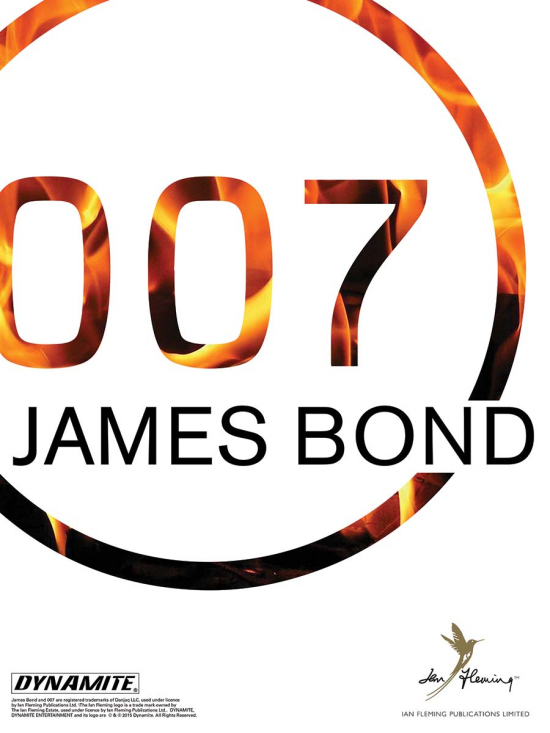 Comic book fans are encouraged to reserve copies of James Bond 007 with their local comic book retailers. James Bond 007 will also be available for individual customer purchase through digital platforms courtesy of Comixology, Dynamite Digital, iVerse, and Dark Horse Digital. Fans and retailers are encouraged to follow Dynamite Entertainment and Ian Fleming Publications Ltd.'s official social media channels for the latest updates regarding creative teams and release dates.